Results for the 23 August round of SkillSelect have been released. 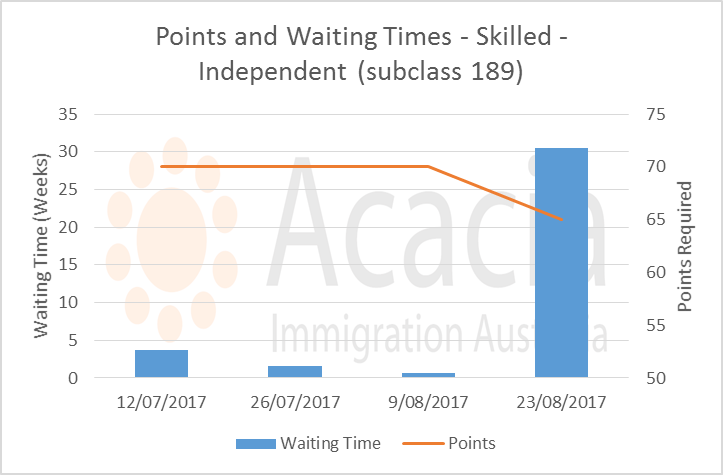 To the relief of many applicants for General Skilled Migration, the required scores for 189 invitations have started to drop. 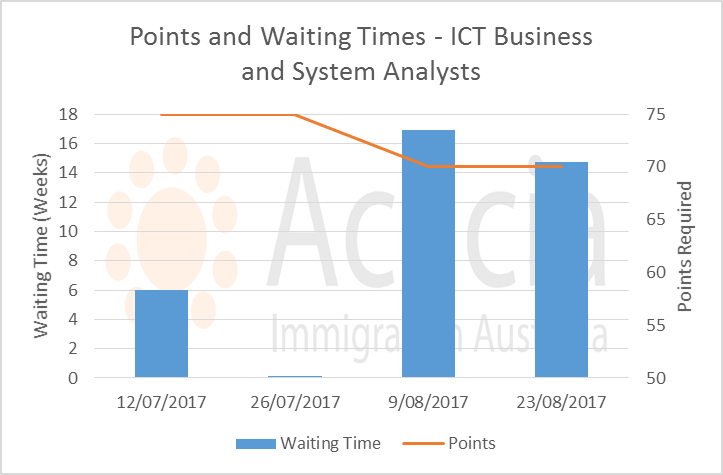 This article looks at the SkillSelect invitation rounds so far in the 2017-18 program year and looks at the required points and waiting times for the most popular skilled occupations. 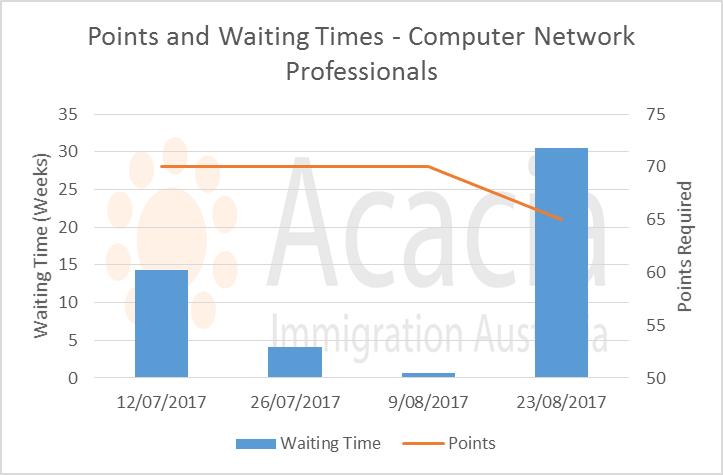 Waiting time with 65 points is 30 weeks, but we expect this to reduce over the next few rounds. Eventually, we expect the minimum score to drop to 60 but it is difficult to predict when this is likely to happen. Most engineering specialisations are not pro rata so the minimum score will be 65 for these occupations. 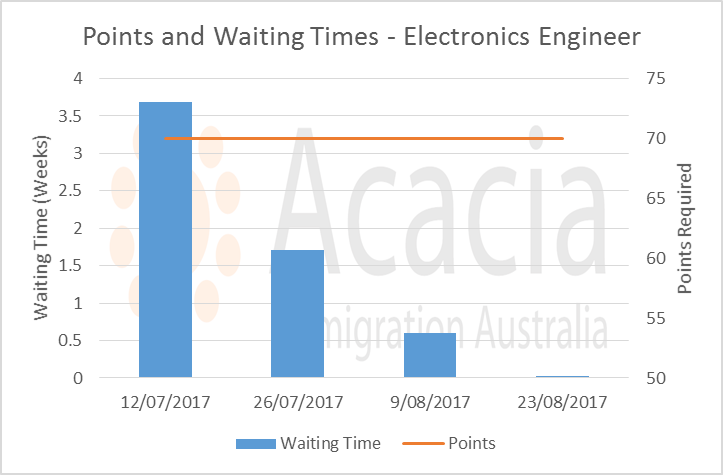 Industrial, Mechanical and Production Engineers dropped to 65 in the most recent round, and looking at the waiting times for Electronics Engineers, we expect this occupation to follow in the next invitation round. Other Engineering Professionals is also likely to drop from 70 to 65, but this may take another round or two. 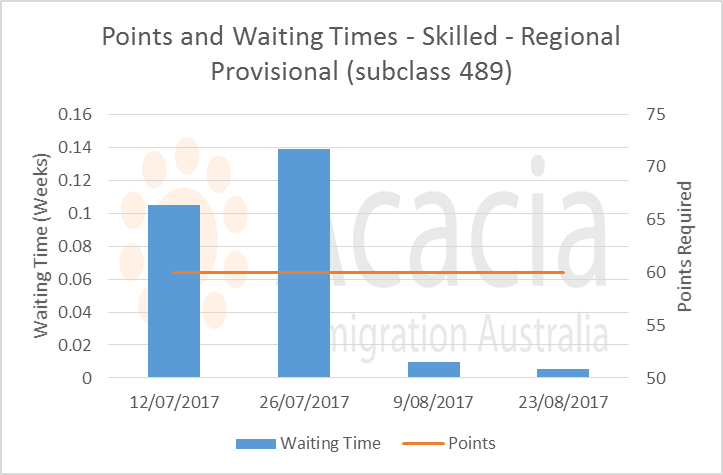 Minimum points for the Skilled Regional Provisional Subclass 489 family sponsored option have been 60 for the whole program year. We suspect that many of the invitations for this subclass have been for pro rata occupations. It is good to see the required points for an invitation reducing for most occupations to 65 points. 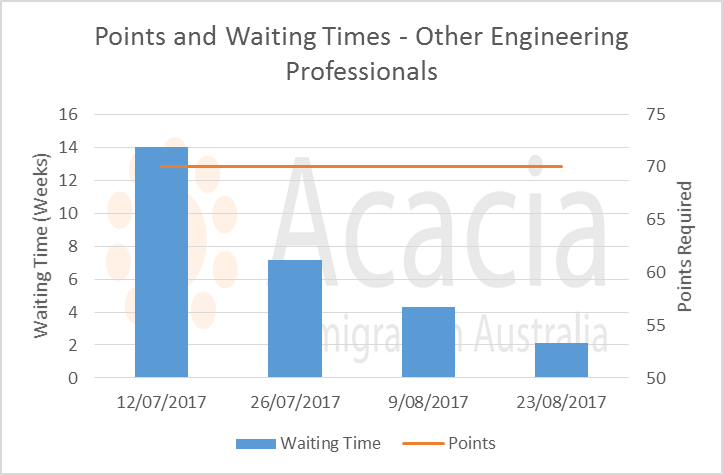 We expect the trend to continue for the pro rata engineering specialisations in the short term. 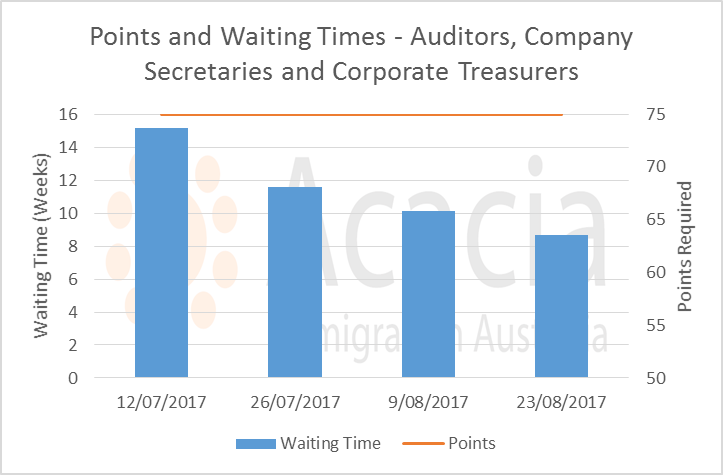 However, the situation remains very competitive for accountants and auditors. 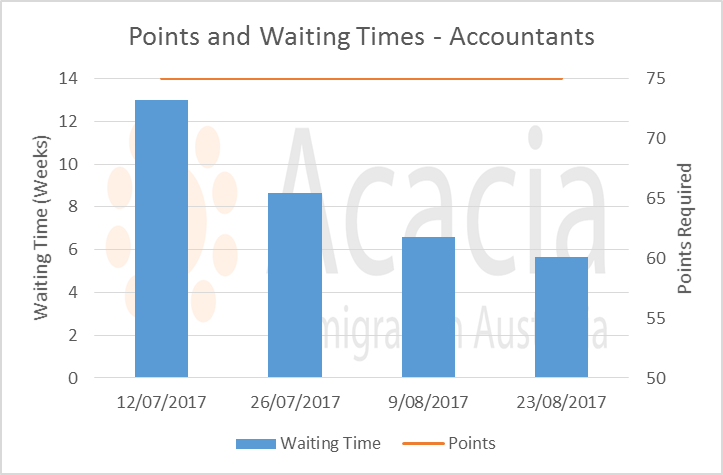 Please book a consultation if you would like advice on your likely eligibility for General Skilled Migration.